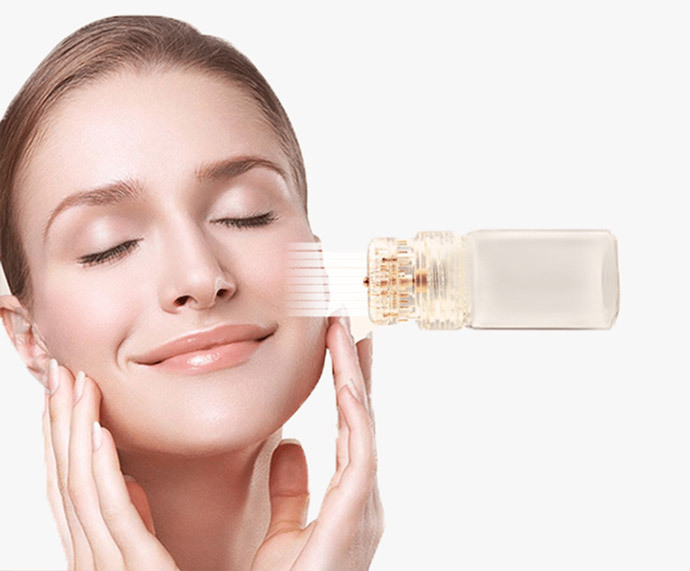 The serums provide particularly durable results to the professionals because the products are made by integrating advanced beauty concepts in their formulas. The skin regains incomparable quality : Younger, more radiant, healthy and balanced. These concentrated serums lighten, reduce the visibility of fine lines and wrinkles as well as attenuate pigment spots and uneven skin tone. Wether it’s to accentuate the sparse hair of the scalp or to reduce acne scars, these formulas have been studied to improve the quality of the skin and its anomalies. 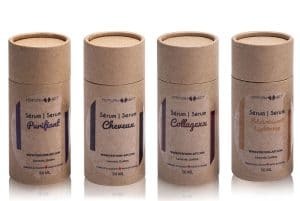 The serums are available in 50ml sizes. Many of the formulas are available in injectable forms for certified professionals. In that form, the formulas can be used with many techniques, like with the RPR, ozone or with other products. Used with the micro-needling device (Jouventude) or for the client’s resale. Hamamelis virginiana: Astringent, Circulatory, Anti-inflammatory, antiseptic, healing. Helichrysum arenarium: Anti-aging soothing, Anti-inflammatory, Circulatory. Cinnamomum sp. : Anti-aging, antibacterial, purifying, radiance. Used with the micro-needling device (Jouventude) or for client’s resale. Glycerin: Smooths skin while maintaining the hydration level. Sodium PCA: A moisturizer that maintains the water content of cosmetics in its package and on the skin. Trehalose: The sugar forms a gel phase while the cells dehydrates thus preventing the rupture of cellular organelles. The rehydration allows for normal cellular activity. Sodium Hyaluronate: Hyaluronic acid or Sodium hyaluronate is a major cosmetic active ingredient that is both moisturizing and plumping. Polyquaternium-51: A film-forming agent producing a continuous film on the skin, hair or nails. It’s a humectant. Used with the micro-needling device (jouventude) or for resale to the client. A care line that is anti-wrinkle, anti-aging and effective in reducing fine lines while tightening and regaining youthful looking skin. 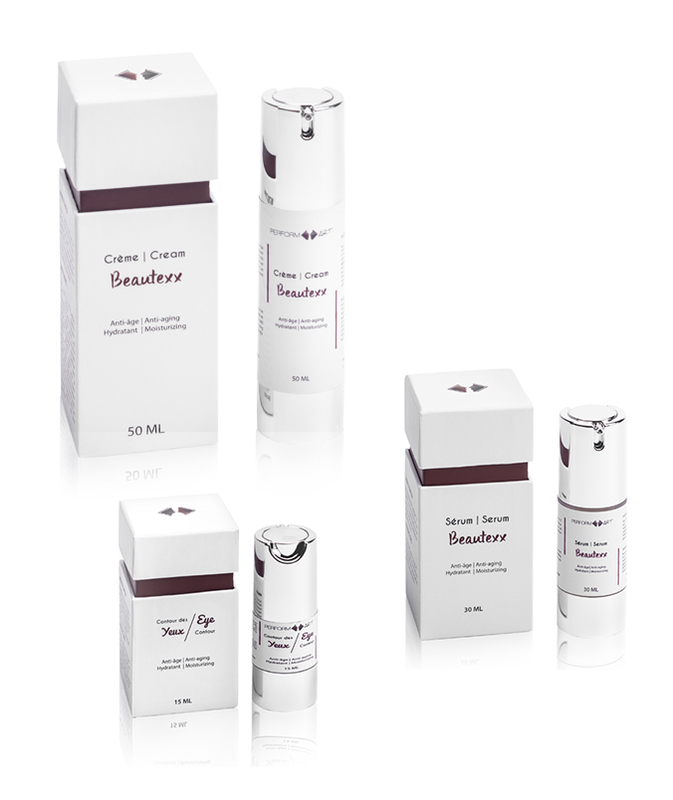 An anti-aging skin care line with high concentration of actives used alone or in combination with micro-needle treatments. Each formula is made for a specific use, by considering the likely cause of the problem. The natural metabolic factors (anti-aging and rejuvenating) are prepared and employed using a method which imitates the process and increases the potential of messenger molecules. An ultra-rich moisturizing and anti-aging cream that brightens the skin and gives it a healthy glow.